Individuals or representative of organizations working at community level can apply for this course. Students and youngsters interested in the issues can also send their applications. This invitation is open for everyone including woman, transgender, persons from LGBTQI community, men. 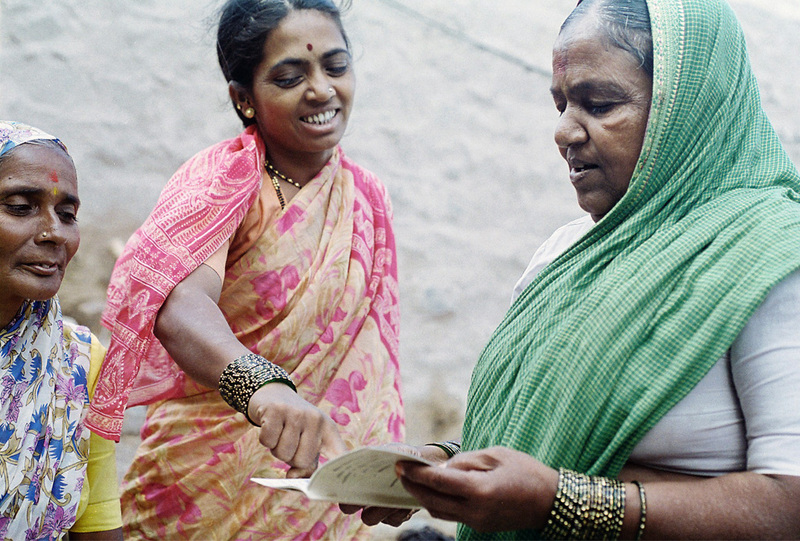 It is important for participants to be able to read and write English language. Participants would be required to read the materials in English for discussions during the course. It is mandatory for all the participants to stay at the venue throughout the course. Participants are supposed to send their filled in application form. 40 participants will be selected for the course on the basis of how they are going to use the information and discussions during the Course in their work. It is seven days residential programme from 24-30 June, 2019. Participants would be required to reach the venue on 24 June, 2019 and they can plan their return on 30 June, 2019 after 5 pm onwards. This Course will be organized in Delhi. Venue details will be informed to the selected participants later. There is no registration fee for the course. Sama will support the travel of all the participants. The lodging and food arrangements of the participants will also be made by Sama. 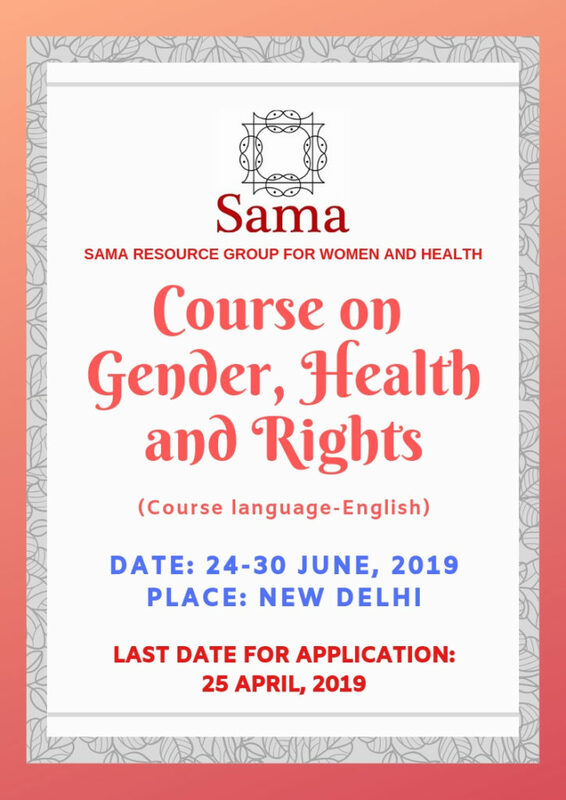 Please send your application through online google form here or you could also download the application form and send us through email on sama.genderhealth@gmail.com, please mention the Subject in your email as “Course Application”. Last date for receiving applications is 25 April, 2019. In case of any query or assistance please contact on the above mentioned email id or call at 011-26692730/ 40666255. For this Course you may contact Abhiti and Adsa. 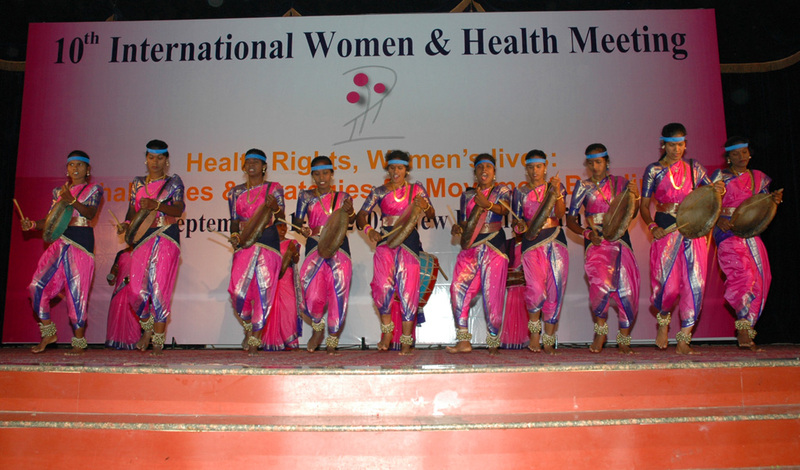 Sama Resource Group for Women and Health is working as a resource group in Delhi since 1999. 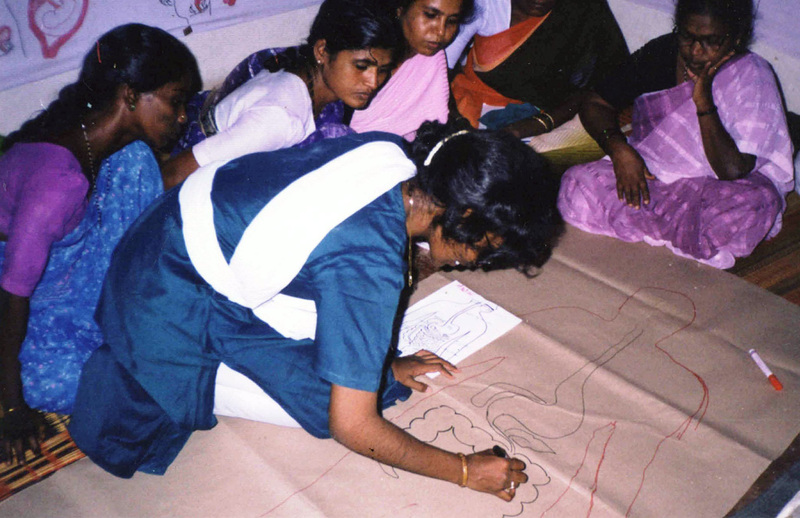 Sama’s work includes areas of public health, right to health and healthcare; sexual and reproductive health and rights; health of young people; strengthening health system’s response to gender based violence; gender and medical technologies including Assisted Reproductive Technology (ART) and commercial surrogacy; bioethics; mental health and well being amongst other related areas of work. 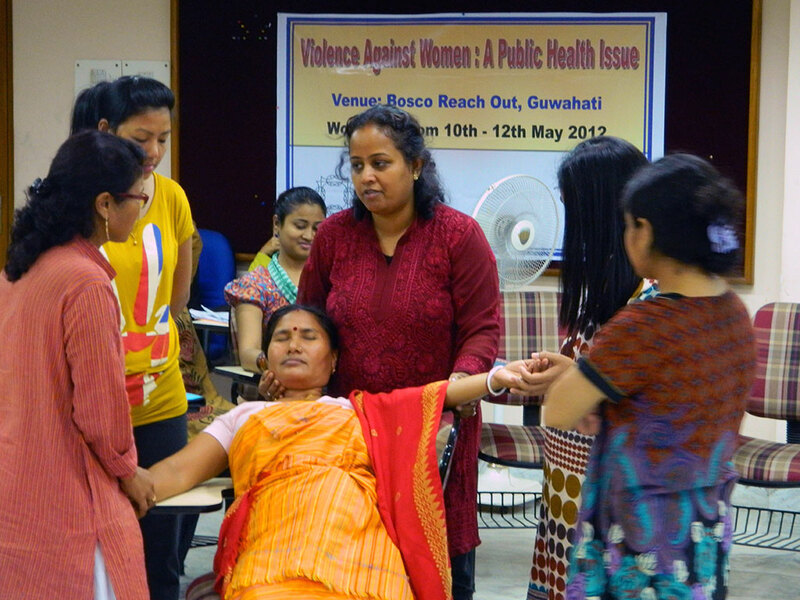 Our core strategies include conducting trainings on issues related to gender and public health from feminist perspective, research, compilation and dissemination of resources and advocacy. 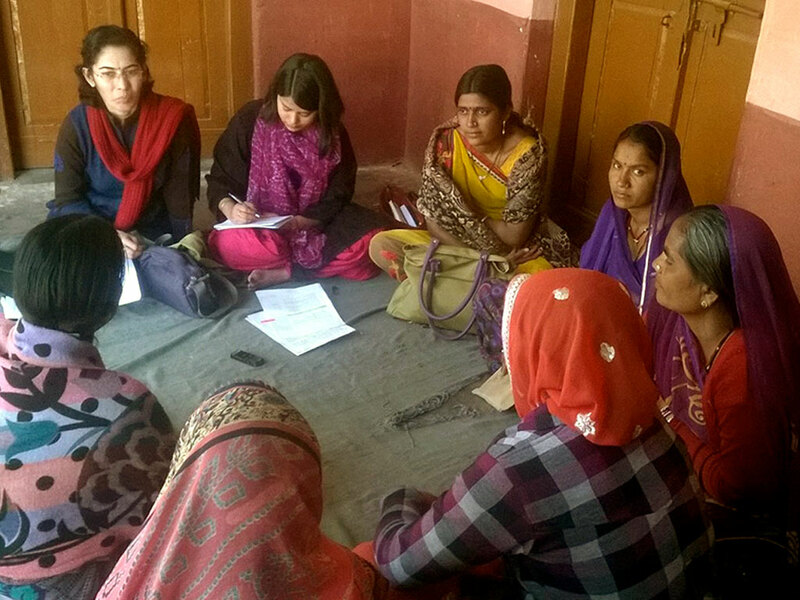 Sama in the course of its work has engaged with different women’s groups and organisations, adolescent groups, autonomous bodies like National Human Rights Commission (NHRC), National Commission for Women (NCW), health care providers, hospitals, media, rural and urban health workers. 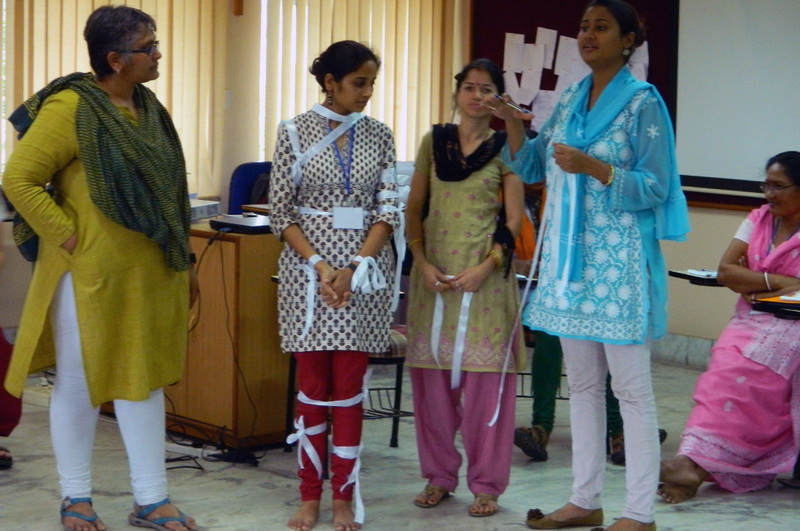 Sama is also a part of ‘Jan Swasthya Abhiyan (JSA)’-the people’s health movement in the country.